The disease of asthma is a predisposition to having chronic inflammation in the lungs causing the airways to narrow. This is reversible. 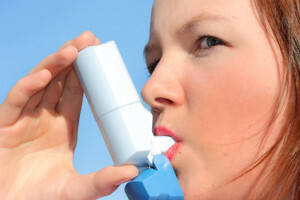 Asthma attacks happen to close to 300 million people in the world. When an attack occurs, the cells in the airways tighten, become inflamed and swollen, and as a result breathing becomes very difficult. 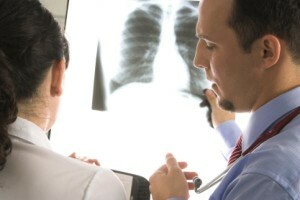 In the United States alone asthma attacks have caused over 4000 deaths. Medicines are available to treat acute attacks in the form of inhalers. The best way to prevent an attack is to avoid certain triggers such as allergies, to control the rapid changes of temperature, and to have a good treatment plan through the use of inhalers both short and long acting. The prognosis is very good by having a good treatment plan of action and making sure it is carried out effectively. Asthma is different from chronic obstructive pulmonary disease or chronic bronchitis because the symptoms can be reversed. Asthma has been defined as a common chronic disorder which is characterized by many variable and very often recurring symptoms, obstruction of airflow, spasms in the bronchial tubes and also inflammation. Asthma is rapidly increasing and public attention has been focusing on it and much consideration is given to how we look at the disease, mainly because of how it is affecting young children. Because asthma attacks have different degrees of severity, many people only occasionally display symptoms. These symptoms usually are only displayed when there is a response to a trigger. Sometimes other, more severe cases of asthma, can have definite airflow obstructions all the time. There are two kinds of asthma attacks. One is during chronic asthma attacks and the other is during acute asthma attacks. The symptoms are very different depending on which kind of asthma a person has. The common symptoms of night time coughing, shortness of breath with exercise, the usual slight cough that causes the person to have to clear their throat, and tightness in the chest are experienced by most of asthma sufferers. When these symptoms increase so does the severity of the asthma. The asthma symptoms can become worse over time and can be very severe. Someone who has asthma does not always wheeze so the disease can be confused sometimes with other lung diseases. A careful diagnosis of the disease is important. An asthma attack is more commonly referred to as acute exacerbation of asthma with shortness of breath, wheezing and tightness. Most sufferers have coughing, take large gulps of air in and because the airflow is so damaged, no wheezing might be heard. Sometime the cough produces a clear mucus and other times it can be thick. During an asthma attack, the muscles of the chest and neck are sometimes used, the pulse may be weaker and the chest seem over inflated. The sufferer may sometimes turn blue because of the lack of oxygen and may have chest pain or even become unconscious. There may be numbness in some of the limbs and the hands might sweat. Also the person’s feet may become cold.